This is a series of races that are to be treated as milestone training runs. 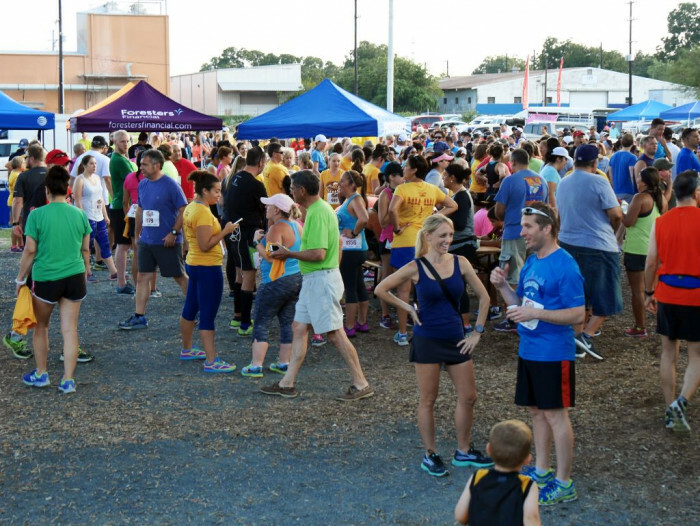 We follow an 18 week training schedule designed for runners and running groups that are training for the San Antonio Rock and Roll Marathon and Half Marathon. These milestone races are designed to keep you on track. They are also used to allow you to meet everyone in the area that is training just like you. This is year 10 of this series and we want you to invite your friends. Each finisher regardless of distance gets a finisher medal at each race. If you do all 4, virtually or onsite with the runners, you will get a bonus medal. Sign up now for a short time and pay only one price for all 4 events. Pick your distances, an if you sign up for all 4 you can switch the distances if something should change in your status. Sign up now for all 4!!! Each of the 4 races will have a 5k. The other distances are designed to get longer for each event. We are following an 18 week training schedule. If you follow a training schedule these races will help you prepare for any race anywhere, any terrain, at any time of day. In other words if you do this series you will be ready for half or full marathon season in December. We have races that start in the morning, at night, hills, flats, heat, cold, everything that you will come across, you will get in these races. These races are designed to be training runs to prepare for your big day in December, January, February etc. Let your trainer help you. If you do not have a trainer emails us we will connect you to the right training group. NOTE ABOUT DISCOUNT CODES; If you are 16 or younger, or 70 and over you get an automatic 50% discount. Do not use an additional discount code. You will be disqualified if you combine an additional discount code. Just looking to fundraise for the event? Register for this sub-event so you can begin collecting funds for a great organization! DO NOT USE ANY ADDITIONAL DISCOUNT CODES IF YOU ARE GETTING THE 50% OFF, WE WILL CANCEL YOUR REGISTRATION.